In May 2014, the IAUA Board unanimously agreed to, in conjunction with the AUA and Urology Care Foundation, establish the IAUA/Sakti Das, MD Research Scholar Endowment Fund. IAUA leaders both past and present agreed to personally contribute and raise funds to support the endowment, and the IAUA membership agreed to provide an IAUA matching grant to complete the $250,000 required for the endowment program. The total $1.5 million endowment will generate income to support an annual grant for the scholar enhanced by an institutional match of that same annual amount. 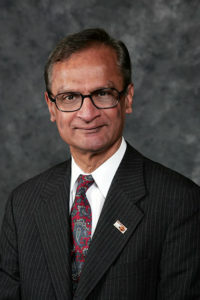 Sakti Das, MD, FACS, a member of the AUA since 1984 became the AUA historian in 2006. He was a staff urologist at Northern California Kaiser Permanente for 20 years and is a retired professor of urology from the University of California, Davis. Prior to that as the historian for the Western Section AUA, Dr. Das has been instrumental in setting up a museum of historical antiquities at the section’s headquarters. As a member of the AUA History Committee, Dr. Das has worked with the past AUA historian and curator of the William P. Didusch Center for Urologic History to expand the collections. He has edited ten urological textbooks, contributed more than 200 publications, has experience as a reviewer for The Journal of Urology® and has created numerous award-winning medical films. He received the prestigious Albert Schweitzer Teaching award from the Societe Internationale d’Urology in 2012 in addition to Presidential recognition award and William P Didusch award from the AUA. Dr. Das is the inspiration and founder of Foundation for Freedom http://f4freedom.org. F4F is in business “to increase literacy in impoverished communities around the world by improving educational facilities, resources, and community involvement for primary school aged children. We fulfill our mission by building new or improving existing school buildings so children can attend school year around, provide needed teaching resources such as desks, chairs, books, uniforms, mid-day meals and teacher salaries, and make a long-term investment in our projects by tracking the progress of the students supported by our projects. We provide a flexible approach to our projects so that the specific needs of the communities can be met.” Dr. Das is a Professor Emeritus of Urology presently working at Alameda County Medical Center. He is inspired by a passion to teach as well as by a passion to help the underserved. This is both what keeps him grounded in the East Bay as well as what motivates him to serve internationally. For the last three decades, he’s traveled around the globe to work in partnership with others on International medical missions. He has also supported several primary education centers in the developing world and, in doing so, has been the motivating force behind Foundation for Freedom. Dr. Das has been a staunch leader of the IAUA for the past 30 years. He has been a driving force behind the AUA/IAUA Chakrabortty Fellowship Program. The IAUA recognizes this as a unique opportunity to honor Dr. Das, and as a way for IAUA to give back to the AUA.